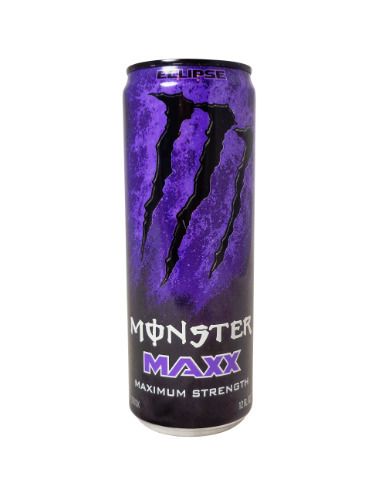 FRESH 4 pack 12oz cans Monster MAXX Eclipse Energy!! Don’t let the sleek can fool you, MAXX Monster is fully loaded and packs Monster's biggest punch. Call Monster crazy, but they supercharged their Monster Energy base then injected it with Nitrous Oxide for a smooth unique texture, out of this world flavor and Big Bang Buzz. Hop on the rocket ship and enjoy the ride. MAXX Monster knows no limits!